One of my favorites so far is a grilled lamb kabob. 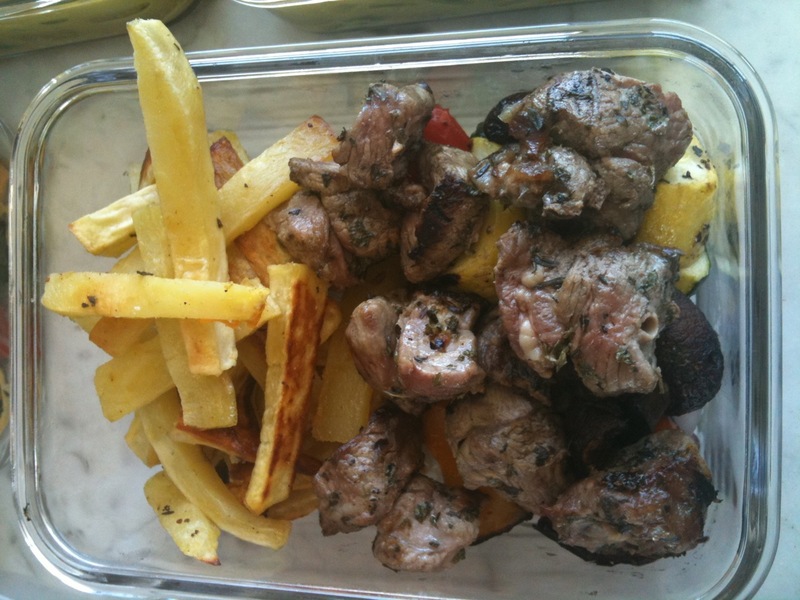 I marinate the lamb meat, some vegetables and then skewer them for the grill. Cut the lamb into bite size pieces. Same with the vegetables. Leave the mushrooms whole if they are bite sized. Put the lamb in one bowl, the veggies in another. In a small bowl, whisk together the lemon, oil, and spices. 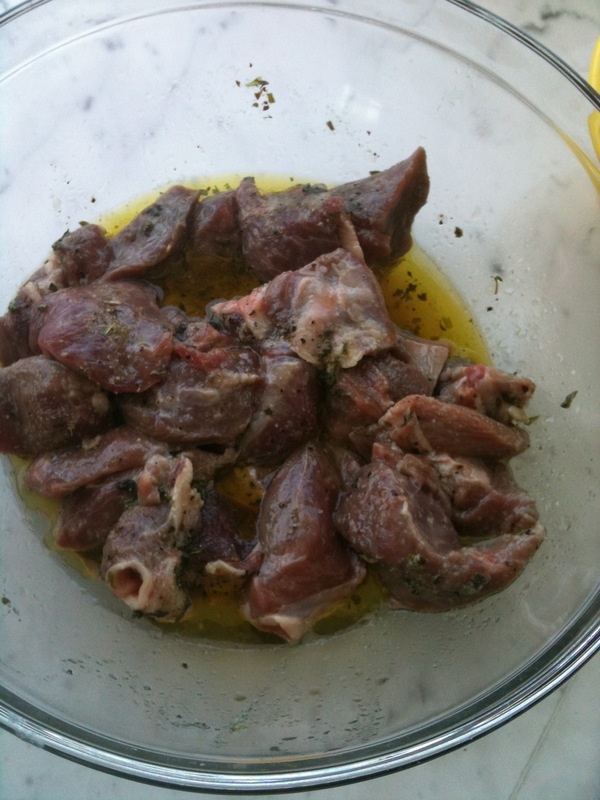 Pour half of oil mixture over lamb and toss to coat. Pour remaining oil over veggies. Let the meat marinate until it is room temperature. 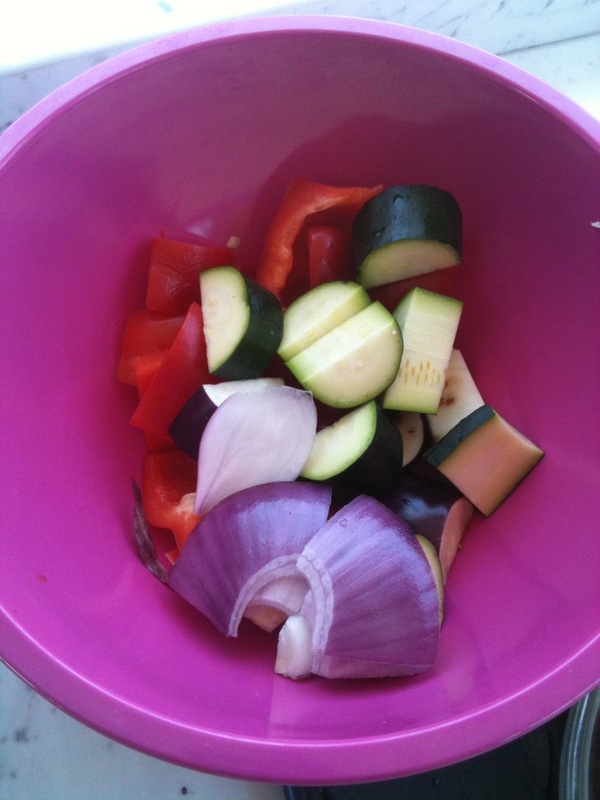 Skewer the meat, then the vegetables. 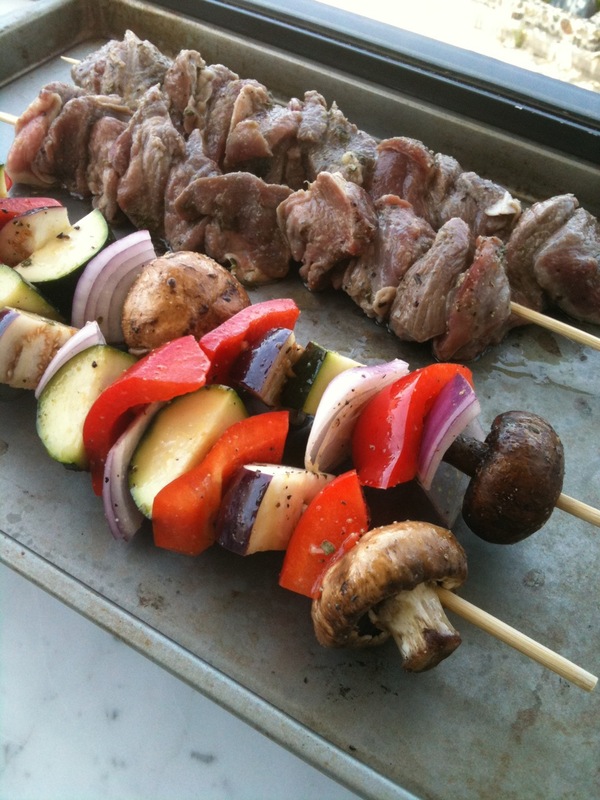 Putting them on different skewers is better than mixing meat/veg on the same skewer. You’ll have more control over the cooking times of each. Make sure the grill is hot and then cook skewers over low heat . Rotate to cook both sides. Once done, remove skewers and serve the meat and veggie peices with paleo hummus or dairy-free ranch and some sweet potato fries!